The Beard Emporium gift code is delivered by email either to the gift-giver or directly to the receiver with a personal message. To redeem, just enter the code at checkout. 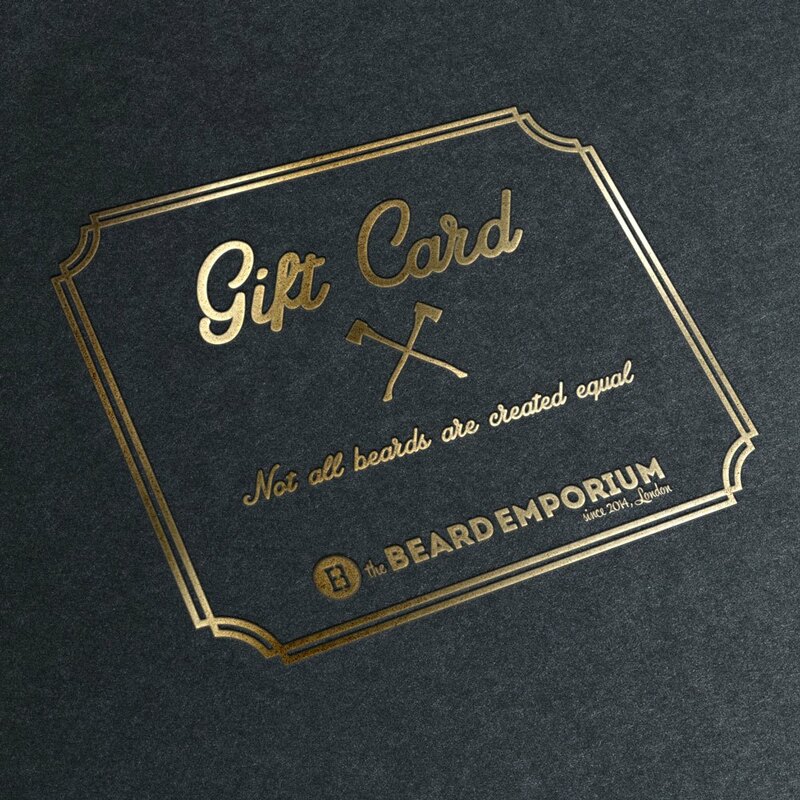 The Beard Emporium Gift Voucher. Available in amounts of £10, £25, £50, £75, £100, £125 and £150. Sent via email either to the purchaser or directly to the lucky recipient. The voucher has no expiry date and can be used as payment for anything in the store.